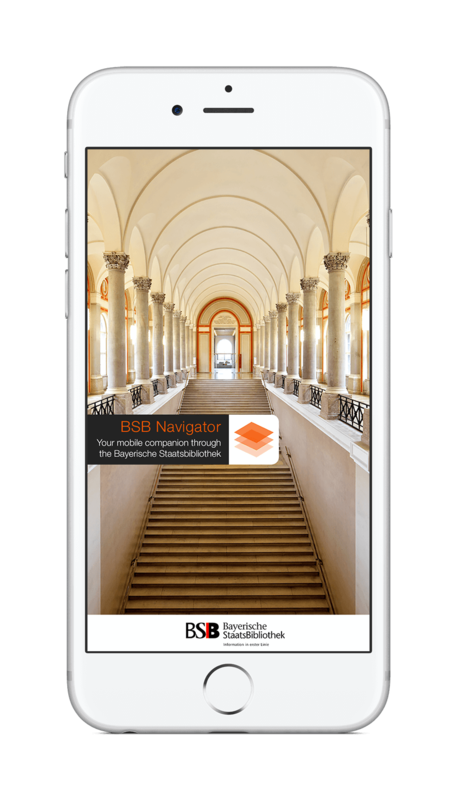 On March 3rd, the Bavarian State Library (BSB) launched their indoor navigation app called BSB Navigator, which is the result of a fruitful cooperation between indoo.rs and the German app development agency Bokowsky + Laymann. 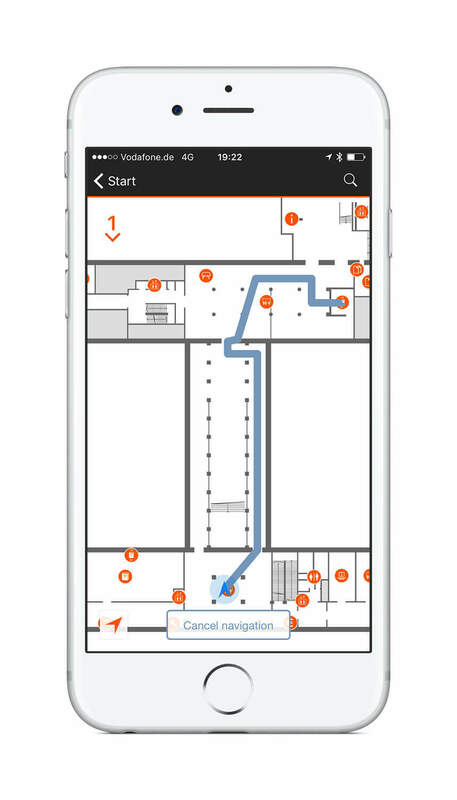 Around 245 Beacons have been placed in the listed halls of the Bavarian State Library to enable indoor navigation and routing to, all in all, 90 different Points of Interest. 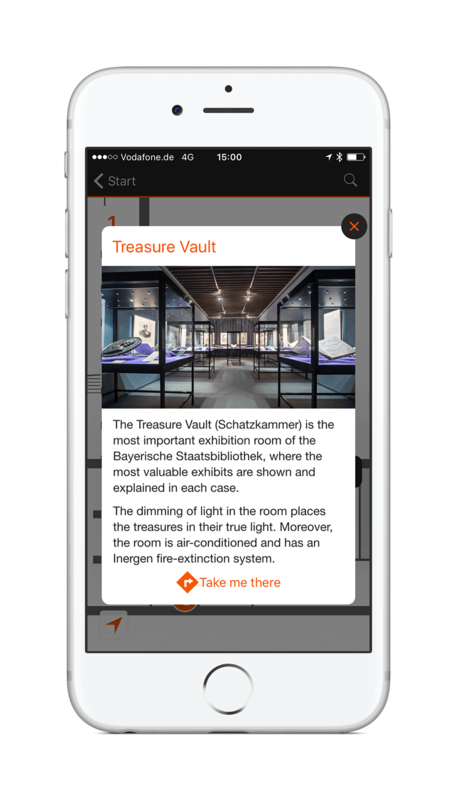 Visitors can now easily find their way around the publicly accessible part of the vast venue. Moreover, some special features like discovery mode and a tour functionality await the user. Whereas the discovery feature gives the user interesting hints and information about services (f.ex. opening hours) and objects when passing by, the latter leads them on a tour along certain POIs. You can choose between a general tour around the library, designed for first-time visitors, and a sightseeing tour, for those who are interested in getting more in-depth insights on tourist attractions inside the walls of the library. The BSB was founded in 1558 by Duke Albrecht V and the extensive, magnificent building put up in the 19th century in Munich, Germany. With more than 10 Mio. volumes, 57.500 ongoing journals and 94.000 scripts, the BSB represents one of the most valuable knowledge centers worldwide.